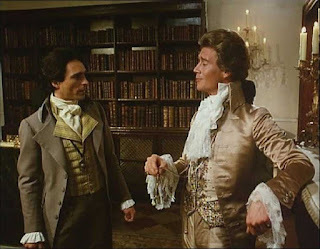 This is the post wherein I scold Sir Percy and am guillotined by the Leaguettes for doing so. First off....to all you girls who have just gasped loudly and are now picking up rocks to hurl at my head for even suggesting that anyone could even find a fault with Sir Percy....please set the rocks down (a little farther from you if you please...thank you)...........Because I actually have three faults with him. But keep reading. Let me say that I will not be easy on the man. Percy gets that from every other post on this blog and by every other person who reads or watches him. I've always liked a good argument (I am ashamed to say) and so I won't go light on him. *clears throat and grabs a handful of popcorn along with a sip of soda-pop before continuing this blog post rife with controversy*. Now it's only been said a few hundred times - So hey! what's one more time? - Sir Percy Blakeney is amazing. 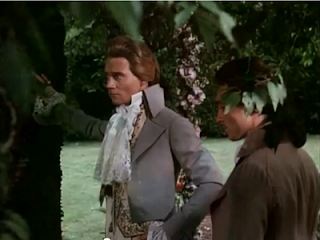 If for no other reason than he can lean against a tree very heroically. 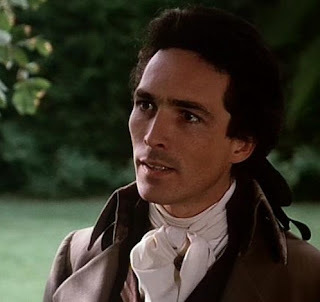 Plus - he has excellent taste in cravats, and there are so many good lines he says that my sister and I could carry out a 5-minute conversation using only his quotes! Er-hem! "Movin' on!" (I also quote Night at the Museum very often.) I also get insanely distracted, in case you can't tell. I'm beginning to think I have ADHD........... Right. Where was I? Oh yes! Sir Percy Blakeney, Bart. 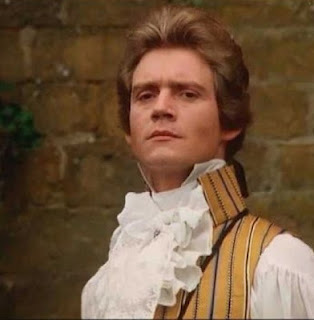 Sir Percy's 1st Fault: He is insanely prideful. And I mean really prideful. #1 - His pride for his country and his duty to save Aristos from the guillotine because it is the right thing to do. 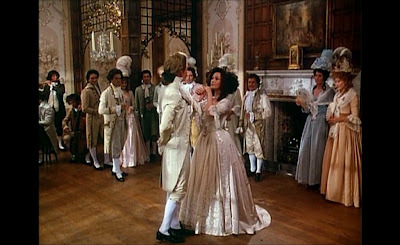 This is not the pride that was attempted to be humbled in "The Elusive Pimpernel" I don't believe. #2 - His pride *in* his duty to save Aristos. Now that may have sounded like the exact same thing, but I believe they can be different. The first one is more a question of "The right or wrong thing to do". He doesn't allow the Aristos to die because it goes completely against humanity. The second one is more of a pride "in his saving them". The daring exploits and the witty banter with Chauvelin. It mentions how many times that Percy loves the "sport" of the intense rescues? I honestly believe that this is the pride that Chauvelin attempted to humble in "The Elusive Pimpernel". 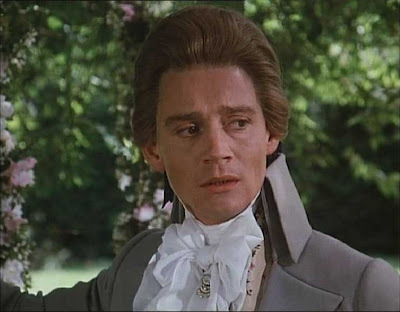 He comes across to me as always saying that he travels to France multiple times each week for the "sole purpose to rescue Aristocrats - no matter what the outcome is for him in the end". If that's the case, then he shouldn't care if everyone in England hates him. Those closest to him would believe him and still follow him to the guillotine to save the innocent people. If he really did "die from the shame" as Chauvelin predicted he would...then I'm sorry....but Sir Percy would be pathetic for caring that much what people think of him. Sir Percy's 2nd Problem: His attitude towards his wife and their relationship. 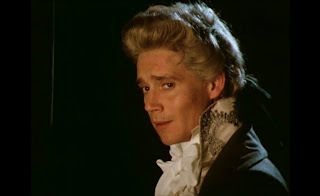 Did anyone frown at Sir Percy while reading chapter 16 ("Richmond") of The Scarlet Pimpernel for the first time? I mean honestly? Even if you knew the whole story, weren't you a little disturbed by Percy's attitude towards Marguerite? I know I was. I will split this into two parts. He won't admit he's in love. (He needs to go listen to "Won't Say I'm in Love" from Hercules.) What harm could it do to tell her he loves her? He didn't have to actually say: "Marguerite, my darling! I love you more than words can express (he does always go tongue-tied in her presence...don't he?). I have loved you from the very first day! Oh! And I'm The Scarlet Pimpernel!! Surprise! But I didn't want to tell you before because I don't trust you....my wife..... and I'm afraid you'll betray me......your husband!" *shakes head grinning* Hehe! That would be very comical. What was he trying to prove by not telling her? It doesn't help their already-worn relationship by not saying it. (He also needs to listen to "How Does She Know?" from Enchanted!) He doesn't have to tell her that he's the Scarlet Pimpernel. He could say that there is stuff he doesn't want to discuss with her if the conversations drifted that way. He didn't have to press his 'turn off' button. I honestly believe she would have respected him worlds more if he had been honest with her from the beginning. Even after he found out about St. Cyr. I think Armand was correct to some degrees when he angrily said: "You do not know how to love!" I'm sorry, Percy! I know you love Marguerite! After all that, I have to say that I am sooooooooo happy Baroness Orczy kept all that in the books!!! :) It shows that he's human after all and isn't perfect! This whole post was from the mind-view of the books, not the movies. :) He wasn't nearly as bad in these areas in the movie as in the books. Don't get me wrong: I love Sir Percy (I even drew a picture of him one day when I was bored) and I believe that the whole pride-issue is not in the books very often. For 95% of the time he really does cares about others and not himself. After re-reading this post I was thinking: "Percy!! I'm sorry!! I still like you! Really!!!" He's probably looking at me right now in his most foppish way possible with that smile of his - which is always ready for a laugh - on his lips in a most disapproving way. Anna Grace is a Christian, sixteen-year-old homeschooler who is not allowed to stay in her PJ's all day. ;) She loves most everything retro. Primarily 1920's-1940's. She enjoys ASL (American Sign Language) and piano. When she is not blogging she may be found reading, playing piano, daydreaming, watching some new-found movie or TV show (such as the BBC TV show titled 'Merlin'), or Skypeing with her friend while watching 'Grimm' together! She believes Merlin is much nicer and better at 'saving the world' than Harry Potter, Sir Percy Blakeney is much more cunning than Sherlock Holmes, Raoul is much more of a gentleman than the Phantom, and Davie Balfour is a much better lover than Peeta Mallark! You can visit her blog "Little Me. Big Creator." here. She often posts movie, book, and character reviews along with some DIY projects, random outfits, photo-shoots, and ramblings of her piano-playing nerdyness. Armand St. Just: To Hate or Not To Hate? When I was younger, one of my very favorite movies was the 1950 Walt Disney adaption of Treasure Island. (I still really like it and would definitely recommend it-- look it up!) The book captivated me when I was ten, and the movie brought all the swashbuckling adventure to life--with some hilarious quotes not found in the novel. 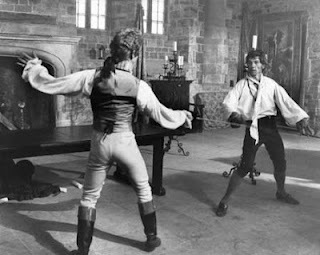 "Ye're a one-legged man with a foot in both camps," one of the mutineers snarls to Long John Silver near the end of the film, and that quote became a bit of a catchphrase in my family. It frequently comes to my mind when I think of my own attitude toward Armand St. Just... in fact, it's pretty accurate (except for the fact that I'm a woman with two legs... but that's irrelevant). The fact is, I really can't decide how I feel about Armand. There are moments when I would be perfectly happy to send him off to the guillotine (if it weren't for the fact that Percy would then have to rush Into the Fire to save him, thereby putting his life on the line yet again for Armand's sake, and I don't want to put Percy in danger). There are moments when I pity him and feel that even though he might not be the most prudent of men, he's not completely to blame for the messes he gets himself into. Frankly, I just can't decide. 1- Armand is not Percy. Therefore, he is not Ultimately Awesome. This, I think, speaks for itself. 2- Armand's loose lips can sink ships. Seriously. As far as Armand knows in the movie, Percy is just some random idiot who happened to rescue him from being beat up one fine summer evening. (Pardon the momentary heresy, y'all.) Sure, he owes Percy something for having saved his life-- but that doesn't give him an excuse to bare his soul to Percy. Especially since Percy has (presumably) only played the fool in front of Armand. So why, then, does Armand feel it's okay to start blabbing about plans to rescue the Count de Tournay? Percy could be a spy for the Republic, for Pete's sake! I think we tend to gloss over this one because, after all, WE know that Percy is the hero and therefore it's okay to tell him anything. But Armand doesn't know that. Why can't he keep his big mouth shut? Then there's the time when Baron de Batz manages to winkle it out of Armand that he is, in fact, a member of the League. That's when I do my spot-on impression of Vizzini's DNYEAAAAAH. *slams head against wall* Two words, Armand. Duct tape. Two more words. ON MOUTH. 3- Armand disobeys Percy's orders and ends up landing Percy in Chauvelin's hands. Pardon me while I do a Mr.-Knightley-esque ERRRRMMMMMMMM. There is one excuse and one excuse only for disobeying Percy's orders, and that is if you are Percy himself and have changed your mind about the appropriate course of action. End. Of. Story. Love and all that mushy-gush can wait. If Percy tells you to jump, you say, "How high?" Got it? 4- Armand doesn't trust Percy to get his girlfriend out of danger. Armand, seriously. You need your head examined. This is Percy we're talking about. Getting people out of danger is his day job! Don't forget it--you'll regret it. Percy knows best. Um. This is my biggest problem with Armand-of-the-movie. 'Nuff said. 1- Armand's heart is in the right place. Sure, he's not the greatest guy that ever lived, but he does WANT to do the right thing. Even if he doesn't always, you know, do it. But to quote Maria Elisabeth, "Idealists are problematic. As Marguerite said, 'I wish you had not so many lofty virtues. Little sins are far less dangerous and uncomfortable.' While the moral truth of that is more than doubtful and even I don't think Armand has very many lofty virtues, she has a point. Every bad thing Armand does comes from a good motive. A selfish feeling like cowardice would have made a lot less trouble." 2- Armand truly loves his sister. This isn't shown as much in the movie as it is in the books, but it's still there. Marguerite and Armand are super-close--they have the ideal sibling relationship. I mean, who doesn't go "awww" when Armand gives Marguerite away at the wedding? Awwww. 3- Armand is not Percy. 4- Percy forgives Armand for betraying him. Ought we not to do the same? So, folks, that's Armand. There's a lot against him. There's a lot for him. But the biggest element on Armand's side is that Percy forgives him, trusts him and believes in him... and that's enough for me. I've officially resigned from the Hating Armand St. Just Club. I still won't say I really truly like him, but I'll tolerate him. Baby steps, you know. And he still ain't Percy. Hello again, m'dears. Today we have Petra from Winsome Reviews reviewing Baroness Orczy's first novel, The Emperor's Candlesticks. The daring capture of the heir to the Russian throne provides a group of revolutionaries with the power to effect the release of some of their imprisoned comrades. Young Ivàn Volenski secrets the epistle with their ultimatum in one of the Viennese Emperor’s famous candlesticks, planning on smuggling them this way across the border. An incredible set of circumstances, however, takes the candlesticks from his hands and places them in the possession of Madame Demidoff, a well-known spy for the Russian government. Hope remains that the papers lie undetected in their hiding place, but Ivàn will have to race against time and match his wits against the power of the government if he wishes to regain the letter and save the lives of both himself and his fellow plotters. 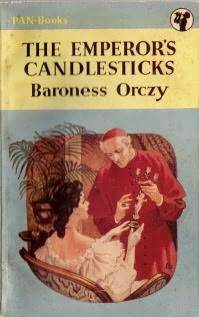 Baroness Orczy’s first novel did not prove a commercial success and even ardent fans of hers can see why. Though the story contains traces of the traits that would catapult her to fame—international intrigue, beautiful heroines, bloodthirsty villains—the plot proves uneven in pacing and never strays from the predictable. The strength of the book lies in the sensitive portrayal of its characters, but even they struggle for the full interest and sympathy of the readers. Ivàn Volenski forms part of a group dedicated to overthrowing the Russian government. Readers do not obtain much information as to their full goals or even most of their methods, though Baroness Orczy takescare to inform them that the majority of the group abhors any plan that would require them to murder in cold blood. Even so, the group carries out a bold kidnapping that could require them to do just that if their plans should go awry, and one suspects that their comrades would not be languishing in jail if they had not concocted some other violent plot. Orczy attempts to extricate Ivàn even further from such schemes by repeatedly blaming his involvement on his nationality. Apparently poor Ivàn has no free will in the matter; his heritage dictates that he should join anarchist societies even if he does not fully believe in them. Unfortunately, this explanation does not succeed in making Ivàn as sympathetic as one suspects Orczy wished. Readers might respect the man more if he truly believed in his cause, truly desired to form a better future for his countrymen—even if he set about it the wrong way. Instead, readers have to decide how much they can like a man who gets involved in violent plots without considering the damage they might cause. Ivàn seems, if nothing else, at least terribly irresponsible. The other protagonist, MadameDemidoff, does little better in securing the sympathy of the readers. She has many admirable qualities, including charm and a quick wit, but her position might make the audience hesitant to accept her fully. Orczy tries once again to shift the blame from her character by stating that the government compelled Madame Demidoff to work for them. This one can readily believe, but one also has to question why the woman, if she performs her service so unwillingly, is so incredibly good at it. The only thing that seems to bother her about her work is that she might get caught—and thus lose her admired place in society. The hints of romance that surround the two opposing characters had the potential to arouse more interest in their fates—nothing makes characters more likable than the sufferings of unrequited love. Orczy, however, fails to exploit this gift. She makes one or two offhand remarks about the situation, then leaves the protagonists to focus on other affairs. 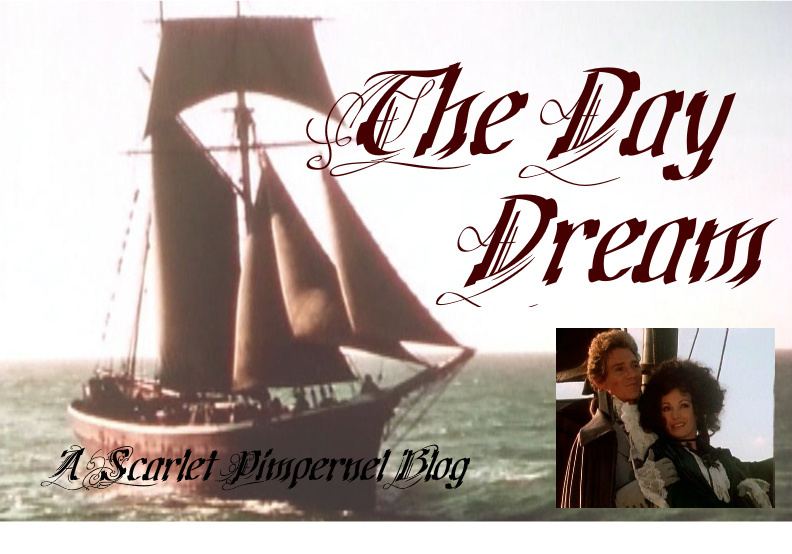 Fans of The Scarlet Pimpernel cannot help but wonder how the creator of Sir Percy and Marguerite allowed such an opportunity to escape her! 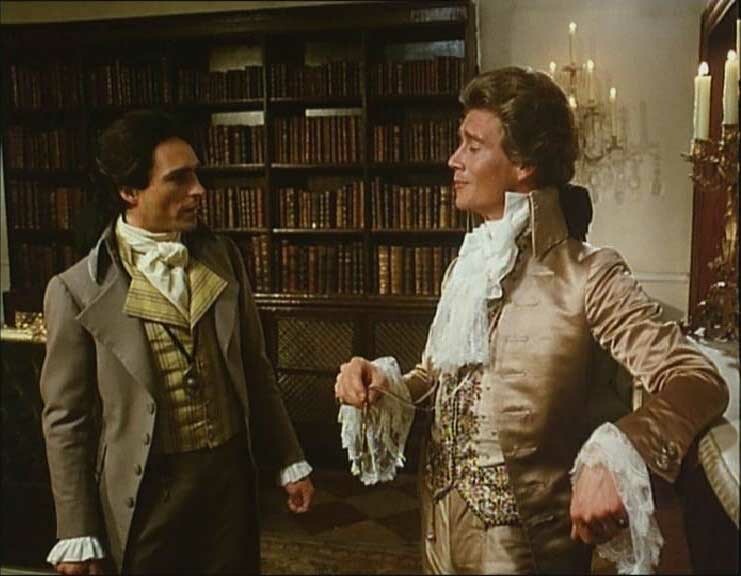 The Emperor’s Candlesticks will interest fans of the Scarlet Pimpernel desirous of seeing how Orczy grew as a writer, but does not have a strong enough cast of characters or an exciting enough plot to recommend itself on its own merits. Petra is a lover of books who particularly enjoys classics, fantasy, and swashbucklers. She blogs at Winsome Reviews, where she and her friends discuss books and films in a Catholic light. Sir Percy: If we are to succeed, we must maintain our anonymity, mask our identities. Even if it means suffering the mockery of others. Being taken for fools, fops, nitwits, even cowards. Lord Timothy Hastings: That's the easy part. The hard part's not being able to boast about our exploits to the ladies. And so I announce that I have FINALLY read a TSP sequel. It took me nearly two years to get my hands on one. Sad, isn’t it? And even though I know there's already a review of this book posted on here, I decided I still needed to post this. Cause I FINALLY READ IT!!! But enough with my grousing and on with the review! Chauvelin is back and as determined to get his hands on our elusive hero as ever. His plan? 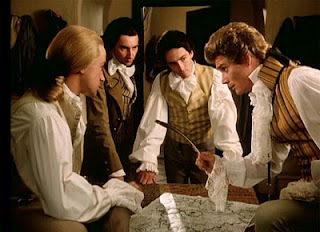 Ruin Sir Percy’s honor, find the identity’s of all those in the League, and regain his own reputation among the French revolutionaries with one blow. Whoa- what? Ruin Sir Percy’s honor? What’s with that? No, Chauvelin doesn’t want to kill The Scarlet Pimpernel. At least, not directly. Instead he wants to so utterly break him, humiliate him, and make his very name a byword of derision and scorn that the Scarlet Pimpernel will eventually commit suicide. After all, it just wouldn’t satisfy Chauvelin for his enemy to go down to the guillotine in blaze of glory, a hero to the end for aristocrats and Englishmen everywhere. So we all know Chauvelin’s the bad guy. But really, his "either-or" in this book was so unbelievably evil that I wanted to-to-to…well, I can’t tell you, because that would give away spoilers. 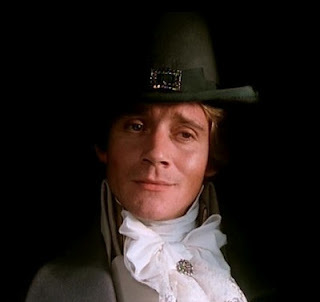 ‘Cause Sir Percy did exactly what I wanted to do. I mean, really, how many times does a character do exactly what you wanted him to? It was nice to see Marguerite and Percy now that there were no secrets between them! 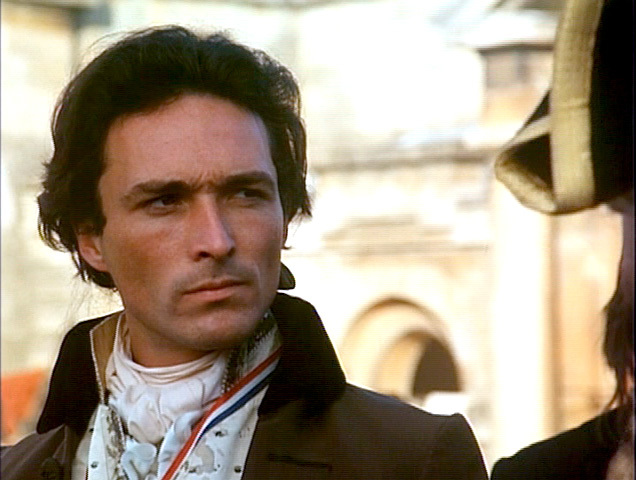 Although, I must admit, the times where Marguerite tried to stop Sir Percy from leaving for France annoyed me. Yes, I do understand her point of view; he really was in incredible danger and she might never see him again. But part of me wanted to yell, "COME ON, Marguerite! 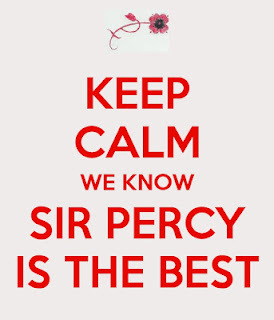 Don’t you know Sir Percy has to leave so he can go SAVE people and be AWESOME???" *Cough, cough * errmmm… maybe that came off a bit too strong…. But he is. And, what I liked about this book, was that you got to see the "real" him more than his English drawing room foppish-ness. Okay, well, maybe not more than, but more than the last book, anyway. My poor sister got updates ever ten minutes while I was reading this. "Emily, you won’t believe what Chauvelin’s doing now!" "Okay, so how are they going to get out of this one? I just don’t know!!!" "Hah! That was hilarious! Em, let me just read you this line…"
I think after about the fourth interruption (she was reading a novel herself) she started to get annoyed. Well, I was having a good time. Well, so maybe I’m not what you would call and expert, but take my word for it that this book was worth reading. I mean after all... It's about Sir Percy !!! Pimpernel Smith stars Leslie Howard (Sir Percy Blakeney, The Scarlet Pimpernel (1932), Ashley Wilkes, Gone With the Wind) and a lot of other actors I didn't recognize but enjoyed nonetheless. 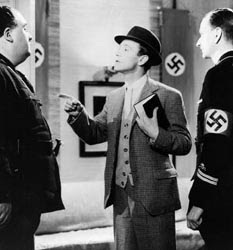 It's pretty much the story of the Scarlet Pimpernel set in Nazi Germany. Instead of innocent arisos, a mysterious man saves innocents destined for concentration camps. Epic, right?! A few of my favorite scenes were ones that involved a train (“You're the bravest man I've ever known!”), a scarecrow (talk about nerve-wracking! ), and a ball invitation (“They match!”). However, one of my favorite scenes was in the end. The entire “You are doomed.” scene. We actually skipped back to the opening of the scene and watched it a second time because it was so cool! So very like Sir Percy! It's exactly what he would say, too! "Ah. Because you have a pistol?" "Yes, I have a pistol. It has eight bullets. Eight lives." "And I have twenty-eight lives..."
Ooh... one more! Horatio actually said, “Yours, I believe.” I nearly shrieked again! A few slight warnings. There are some not-very-good statues and paintings depicting women that are very scantily dressed. It's basically just Professor Smith's Aphrodite statue that he found (both the actual one in the first few minutes when he shows up for the first time, staring at it, then the photograph he shows Ludmilla), and the paintings in General von Graum's office. I just told my younger brother to close his eyes. Nothing really important happens in those scenes that you have to watch – it's okay if the guys just listen. Also, my sister said that Horatio smoked too much... but it plays a key part in the last scene. One more thing – there are no scenes about what actually goes on in a concentration camp and only a little blood from when a character gets shot. Nothing really major, except for the statues and paintings. 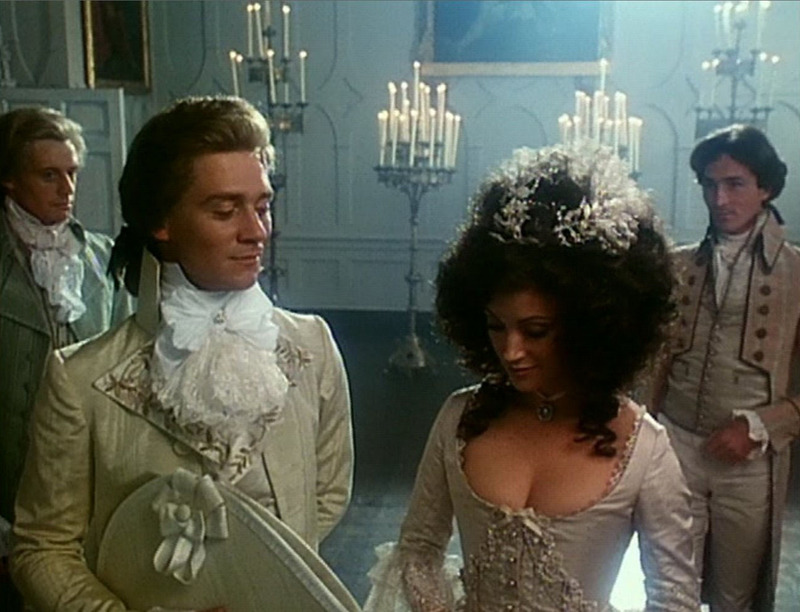 Pimpernel Smith is a movie that I'd totally recommend to any TSP fan. It's not too hard to find, either – you can wait a few days to get it in the mail from Netflix (I think it might even be streaming), or you can watch it on YouTube here. "Don't worry - I shall be back!"